Tired of wrestling with your reluctant dog at bath time? Would you like to able to keep your dog (and your house) smelling clean and fresh this Spring? 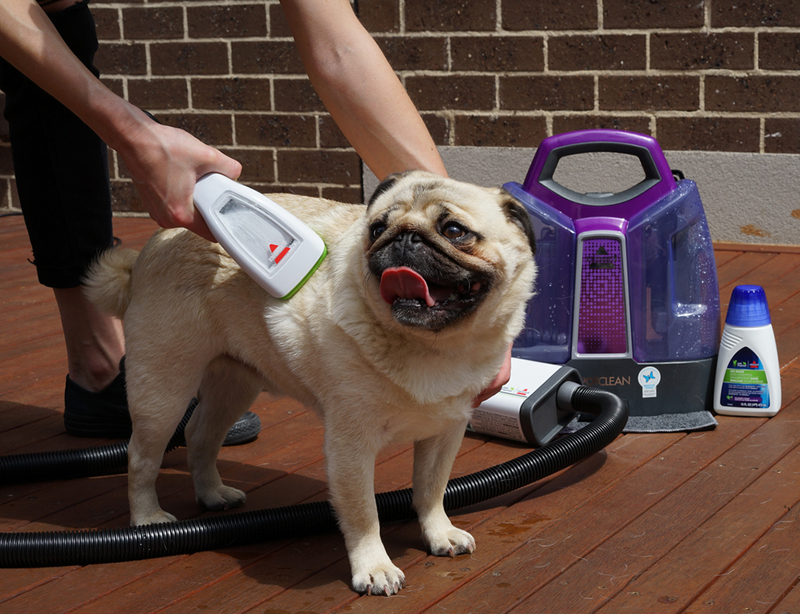 Thanks to the BISSELL BarkBath Tool there is now a faster, easier and less messy way to thoroughly wash your dog virtually anywhere! This attachment connects to a BISSELL SpotClean (portable carpet shampooer). The specially designed nozzles get beneath the fur and down to the skin to allow water and shampoo to wash the skin clean while a soft suction pulls dirt and water away to a separate dirty water tank. The system works with almost any length of fur, short or long, whilst the no-rinse shampoo formula leaves your dog's coat feeling clean and fresh. As well as being convenient, the BISSELL BarkBath Tool can save huge amounts of water as well. You only need 1.2 litres of water to adequately clean a 36kg dog that otherwise would need almost full bathtub to clean properly! 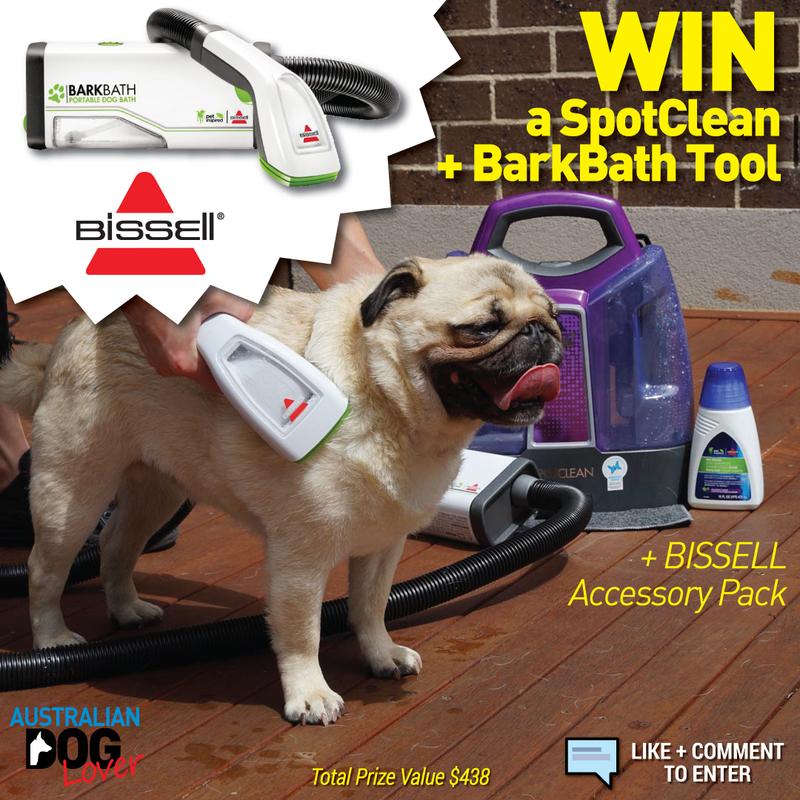 Our friends at BISSELL Oceania have also thrown in a full Accessory Pack which includes a BISSELL cooler bag, a pair of pet nail clippers and a grooming brush valued at $70. 1. This Competition will close on Saturday 8th September, 2018 (9pm). Open to Australian residents only. Winners will be announced on our Competitions page on Sunday 9th September 2018. 2. To enter, like & share this post and comment "in 50 words or less describe your most memorable dog cleaning experience and why you need a #Bissell #BarkBath Tool prize pack? (photos/videos welcome)". Entries will be judged on the basis of creativity and uniqueness. The entries will be judged by the Australian Dog Lover team.